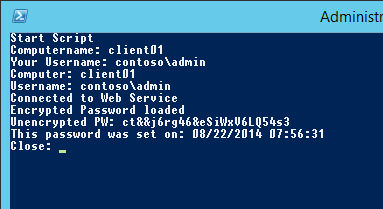 In part four of this post series, you will see how you could get the encrypted password back from the MiniWebService. 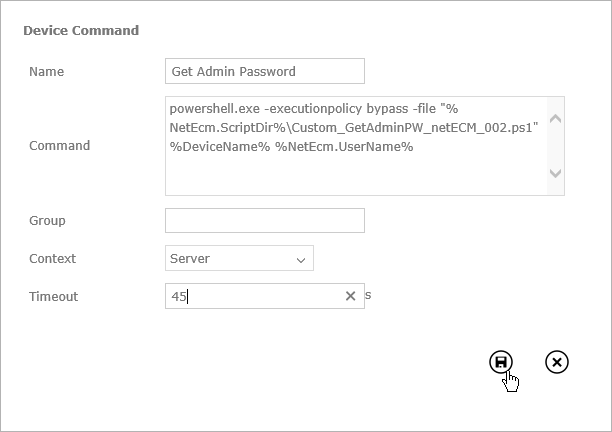 You can implement this script to the ConfigMgr console, run it standalone or you can embed it for example to netECM:UserDevice. 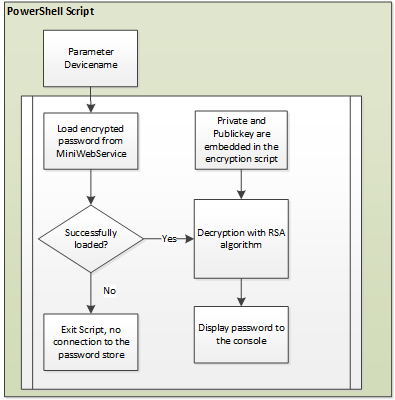 The following diagram will illustrate the actions of the PowerShell script. I have created different scripts for different usages. 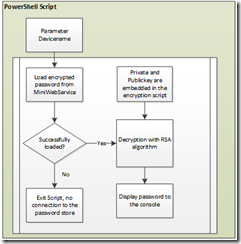 One Script returns the whole password history, the other script returns only the last password. 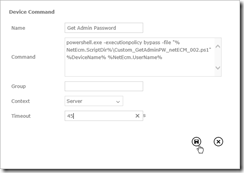 Then there are slightly modified scripts for the ConfigMgr console, standalone or netECM integration available. Please the correct one for your environment. First, we have to customize some variables in the scripts. Change the $privatekey variable to your privatekey (generated in the prerequisites step in post 3). Then you have also to specify the FQDN of the server on which the netECM:MiniWebService is installed. With this method you are able to run the script from the command line or over the windows explorer like in the screenshot. 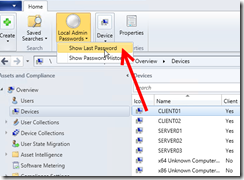 After entering the device and username the password will be displayed correctly. 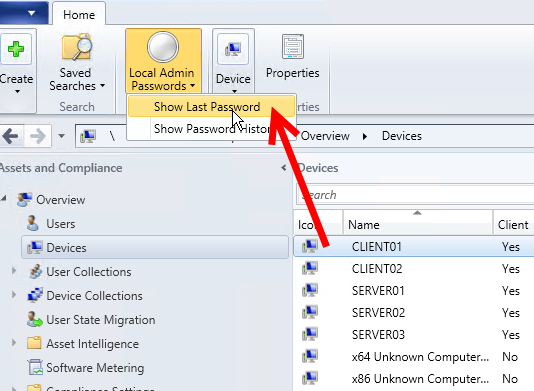 In the last four blog posts is explained how we could change admin passwords randomly on devices with built in and free tools. The scripts are provided as is, so test them well and report issues back.